vignette design: Design Bucket List #4 - Backyard Chickens! For as long as I can remember, I have wanted chickens. I just thought it would be in the future when we retire to the country that my dream would come true. However, I'm thinking it could now be a reality! It never occurred to me to have a few chickens in my backyard! But, it is now quite popular to have chickens in suburban backyards as pets, and for organic eggs. Some site the economy, some say it's the increasing awareness of what we eat and where it comes from. U.S. News and World Report wrote an article about the rise of suburbanites raising chickens here. You might wonder how does having chickens qualify for my "design bucket list?" Well, for one, I want a coop that is attractive. 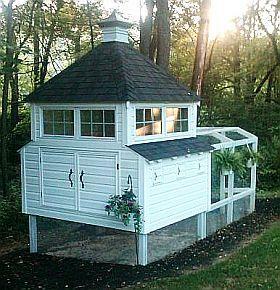 I've been doing a little research, and there are some darling chicken coops out there. Of course I would customize it with paint and fabric too! 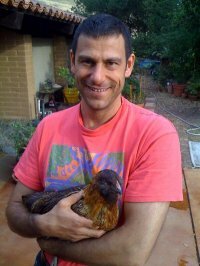 A few of my favorite bloggers that I follow have chickens. Recently, Brooke Giannetti from Velvet and Linen acquired a few baby chicks. I have been following her project with much interest. 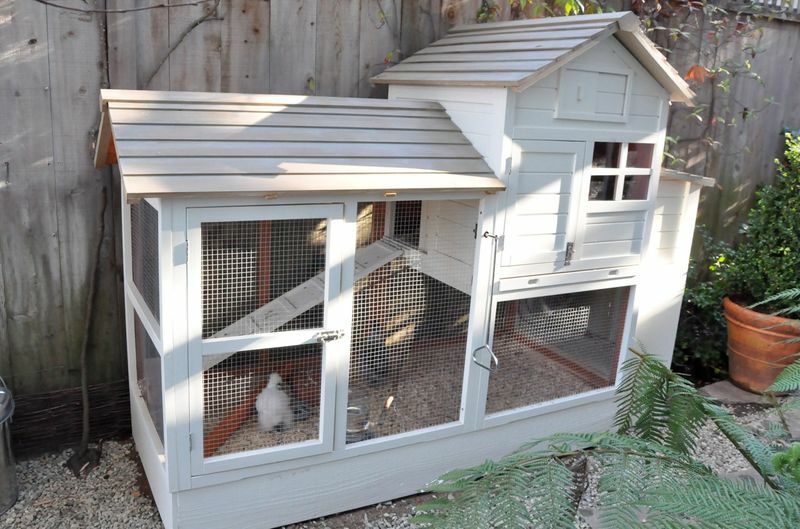 Here is the coop they ordered from My Pet Chicken, after it was gussied up with paint. Here is Heather Bullard's coop. How adorable is this!? She recently wrote a post about chickens in her garden here. I'm in love with this coop from The Fancy Farm Girl. 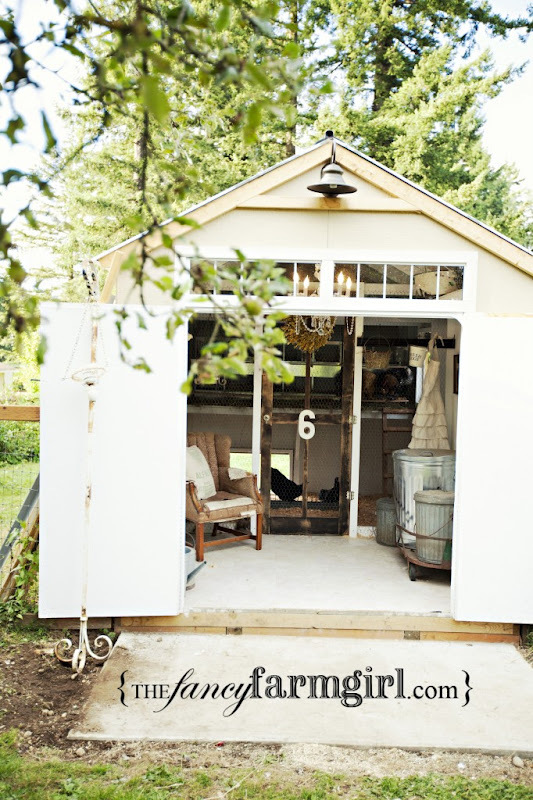 She lives on a farm and has a lot of chickens, so this coop is not only adorable, it is large enough to accommodate her ever growing population. The ultimate coop though is Bunny Williams' pavilion! This is just pure fantasy! Sorry, I just had to show it one more time! This is what we will probably end up with. 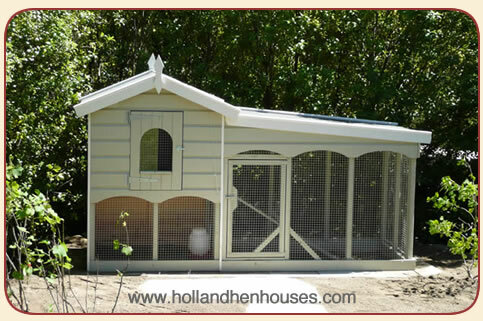 Kathysue from Good Life of Design told me about Holland Hen Houses, based in Marin County. Here is one of their coops that I love, which is perfect because it allows the hens to have a run. The chickens themselves are part of the "design process" too! Here are Brooke Giannetti's little Silkie Bantam chickens. Aren't they adorable? Since they usually lay about three eggs per week, it is more than enough for us. They are also quite docile and make great pets. Not to mention their feathers feel like silk! I'm leaning towards this breed and think three would be quite manageable. 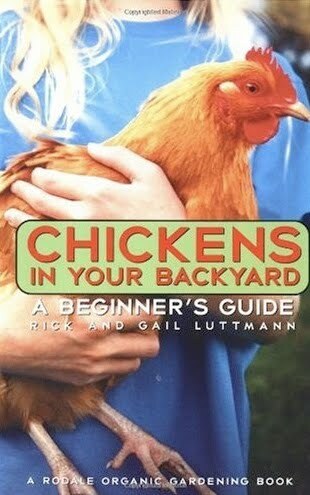 There is a lot to learn about raising backyard chickens. I've ordered this book from Amazon, and am planning on taking a class at Love Apple Farms in Santa Cruz. However, my friend and neighbor in Asti, Ron has offered to get me started. He has over 30 chickens in the country, as well as some in his backyard in the City. Ron will definitely be a wonderful source of knowledge. In the meantime, I'm enjoying the process of researching coops and breeds. If you do decide to raise a few chickens, be sure to check the zoning laws in your city or county. Do not get a rooster. Most cities don't allow them anyway, and they can be irritating to your neighbors. My county requires a special permit for chickens. We are allowed up to ten hens, and no roosters. The chickens must remain cooped up at all time. Build a generously sized coop. Figure 10 square feet per chicken. Keep your coop clean, and put the manure in the compost pile. Manure is too "hot" to put directly in your garden. Keep them secure to keep predators like raccoons and dogs out. And be sure to get more than one chicken! Chickens are social animals, so start with at least three and they will be happy! It's a great idea, especially if it is secure from neighborhood dogs. I had a pet chicken when I was in elementary school. I carried that Bantham hen around a lot! And she still hung out with the other chickens and laid eggs. I am going to follow along vicariously through you and my other friend that has chickens. She is the one who introduced me and hubby to Holland Houses. I am going to give her the link to this post too!! Just do it, Delores. You will love it! I am getting ready to build a new hen house. I live in the city limits now and they just pasted a law that we can have 4 back yard chickens...I think that is a good number. I have made by myself a chicken house for my home pets.I am not a professional for this just worked for them. 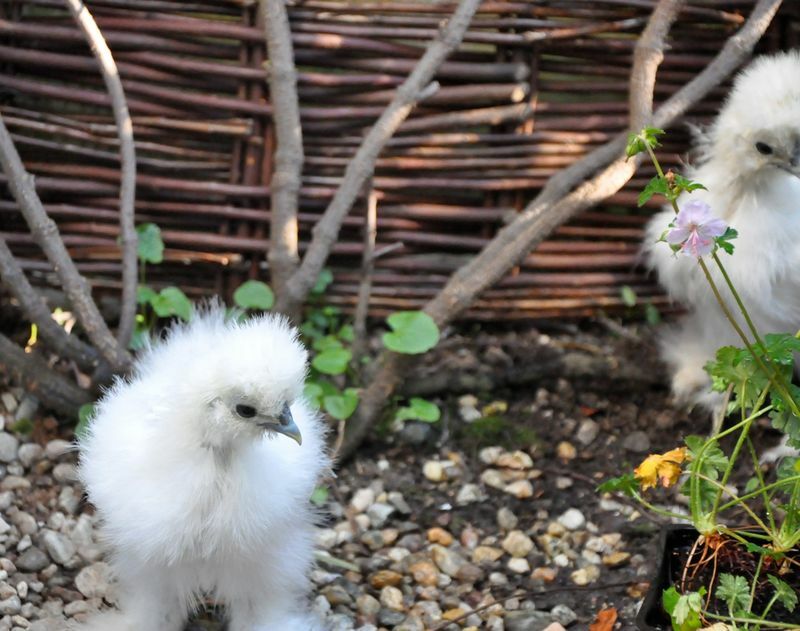 I think the little silkie bantams are darling. Such fun to watch them strut around. You could have two coops one for each home, then let the chicks come along for the weekends at Asti. Some of those coops are adorable. Little chicken condos! Can' t wait to see your final choice. I had chickens many years ago, when they weren't fashionable. There is nothing like a fresh egg or two for breakfast. The only downfall is they are messy little critters! I am happy you are doing the research first, it is always good to be prepared for your endeavor. I had 20 peeps that turned out to be 15 hens and 5 roosters. At first the roosters were okay (we live in the country), but as they got older they were a pain??? Eventhough we live in the country, the winter here is kind of brutal, so since I did not have a barn, I gave them away. Now however, I am thinking of getting maybe 4-6 hens and keeping them closer to the house :) I think this will work out much better. Plus you will absolutely love the fresh eggs and feeding your veggie scraps to them. I can't wait to see what house you pick. I am now a follower. I think this is such a cool idea! 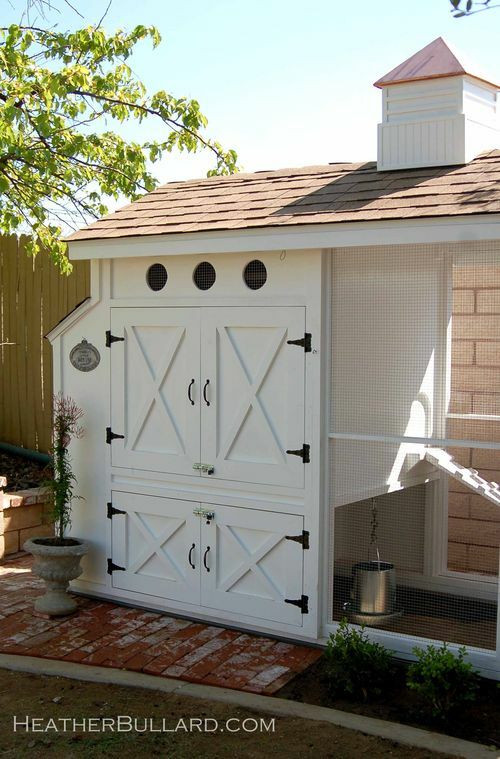 If I didn't have 3 dogs I would be thinking about building a hen house too! I can't wait to see your hen house when you get it all pulled together, and I'm ready to come stay in that gorgeous pool house bedroom and have fresh eggs for breakfast!!! Hi Delores, We had fresh eggs today from a friend that raises chickens in her back yard. The coops are adorable and I am looking forward to seeing you achieve another thing on your bucket list. I would love some chickens! Granddaughter and I visited a closeby urban farm today...baby goats, angora bunnies, bees and about 26 chickens. She got to take the eggs from the nest and we brought a dozen home! Can't wait for breakfast tomorrow morning! Good luck with your project and I'll be checking back! i enjoyed your post. one day i, too, hope to have chickens. decorate your home : ) !! My next door neighbors have chickens with an adorable coop that is painted dark green to blend in with trees. They raised the chicks in the basement under incubator lights. They have lost several to hawks etc. but are reaping the benefits of fresh eggs! What a great post Dolores! We get fresh eggs each week from a young lady who lives in Tracy and raises chickens. She's a freshman in High School. We feel so fortunate to get to buy fresh eggs from her each week. I'm so excited for you! Chickens.. . not so much! Rabbits with little bunnies. . .now that's another story! I adore bunnies and rabbits! Unfortunately, we live right off a State Highway. . .so, I'm afraid I'd be cleaning them off the pavement. Yuck! Somehow, I can almost visualize you in Wellington boots wearing a Tartan Plaid apron. Yeah! It could work! Well of all the things on nylist of things to do, this is not one of them, lol. But go for it, and it sure sounds interesting. Growing anything is a fun hobby. The colorful ones with black and red are sure pretty. Good luck. I did not know there were so many kinds of chickens. They are quite beautiful and it would be rewarding to have fresh eggs. Unbelievable designer coops. I like the one with the chandelier. 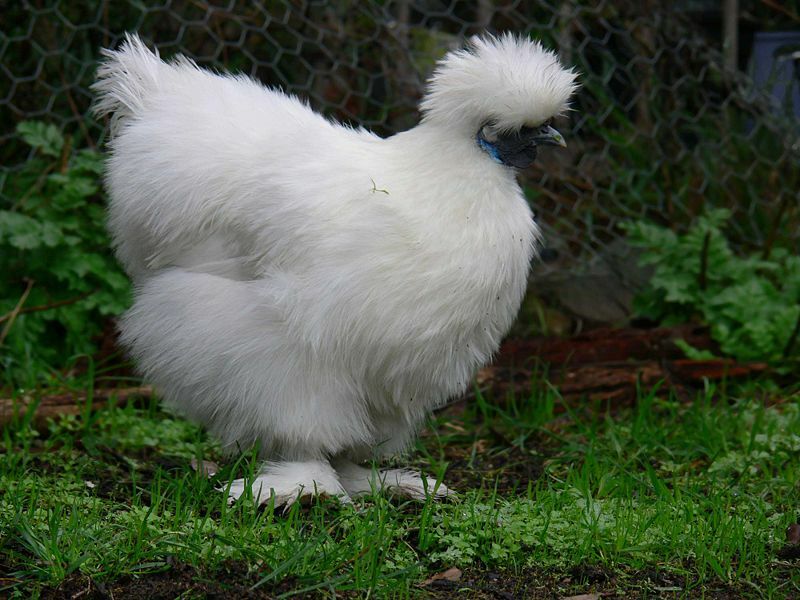 Beautiful coops...if you do decide on the silkie bantams, you will adore them ~ I have 4...even the rooster is sweet! Enjoy your chicken adventure! I saw some interesting information on a website. http://benedictsfarm.com They had some cool coops and information about buying chickens that was useful.